This nice brace of trout was caught by Feral some time before the turn of the century. If I recall the story correctly he passed a couple worm fishermen walking the bank upstream, caught the trout in ten minutes, and walked back past them heading downstream. The worm fishermen couldn’t believe their eyes. A proud moment. They were kind enough to take this photo and I have been trying to figure out ever since where exactly on the Pine River he caught them. If you look closely something doesn’t seem right. 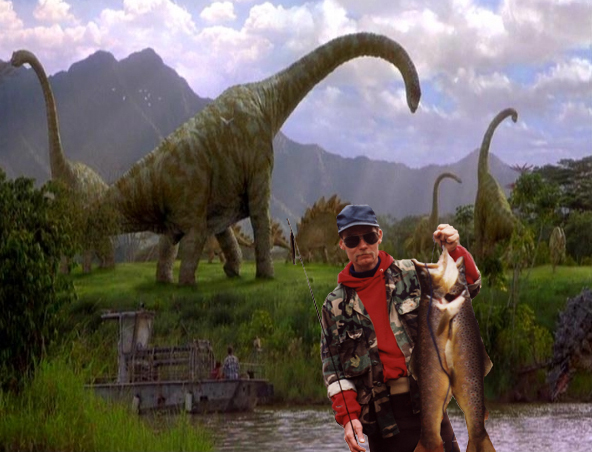 Feral assures me the trout have not been photoshopped, but concedes everything else might have been. I trolled the web to see if there was a way to fix it. The word on the web is: buy a new one because you can’t repair them. I could see their point, in my case the wires I needed to reconnect are encased in the plastic compound of the puck, sort of like Hans Solo encased in Carbonite, but less to work with. I decided to do surgery on the puck. (What did I have to lose?) The main issue was getting to the wires inside. I took a 1/8th inch drill bit and made small holes all the way around the spot where the wires exit. I drilled just deep enough to break though the molded plastic seal. Then I chipped away the plastic until I could see the two wires, one black and one red (matching the wires encased in the cable). The wires are tiny – so extreme care has to be taken to work them free of the plastic seal. Once they were free I was able to strip the coating off the two wires using an exacto knife and a lot of patience. Then I did the same thing with the cable end – stripped and exposed enough of the wires so I could hold and solder them to the wires in the puck. I used a pencil type soldering iron with a fine point. Once the wires were soldered I filled in the hole and soldered joints with two part epoxy. I gobbed on enough so that it covers the cable where it exits the puck. 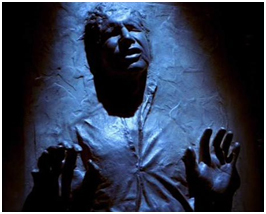 Hopefully it’s as strong as carbonite so the wires don’t pull out again. The Test: I took the boat out on a local lake and it seems to be working better than ever. It zeroed right in on the bottom. 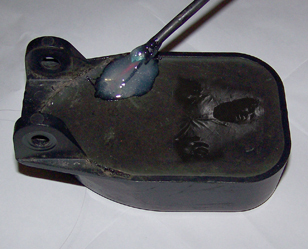 If you are on a budget – don’t trash the transducer. Dig out and solder together the broken off wires and gob up the hole and wires with epoxy. Save yourself eighty plus dollars with very little effort. Trout have a reputation for being finicky and I can probably thank fly fishermen for that. Most published accounts focus on finding the one pattern that works for a particular time and place and that makes me smile since I have pulled junk out of my congested lure tote that resembles nothing a trout has ever seen and proceeded to catch trout. 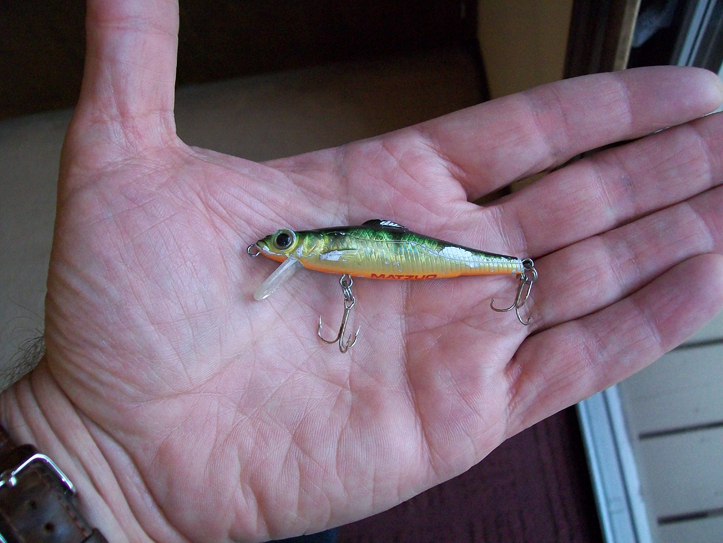 One time on the lower Baldwin, in a good rain, I lost a favorite lure and had to try something untested. By chance I had a big-lipped deep diving crankbait with me and since the water was high and rising, I figured what the heck. My second cast brought in a medium size brown around 14 or 15 inches. 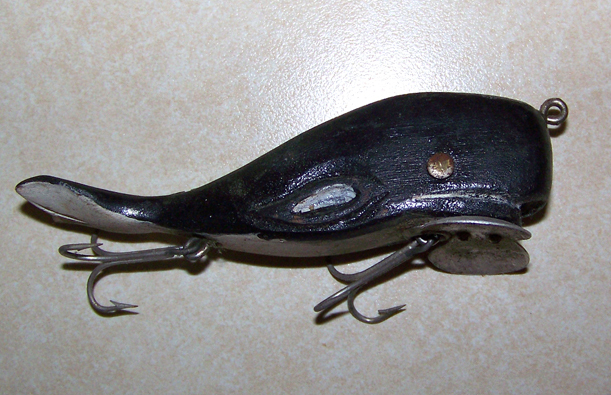 The Big “O” type lure was mostly green and had a fish type pattern that was supposed to resemble a bluegill. Not much chance the trout I caught had ever seen a bluegill. I caught one or two more keepers on the lure before finally calling it a day. I haven’t caught a trout yet on the #3 Sperm Whale pictured above but I don’t count it out. My reading is it’s a night lure and I know just the pool to try it on. It’s designed to wobble like a jitterbug and who knows what kind of leviathan it might call up from the deep. I’m half afraid to use it since it may be the only one like it in existence and I don’t have to tell you what the antique lure market is like. One year Natch, our “wired” fishing buddy, hit the bargain bin at Wal-Mart on the way up to trout camp. He picked up some dollar bass lures of various strange patterns. 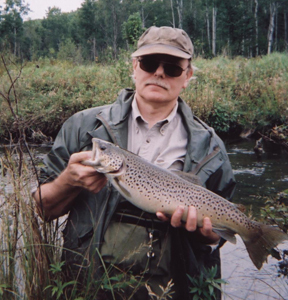 He caught trout and what really amazes me is that for several years running he took “big fish” honors in our annual contest. I can’t say it was the dollar bass lures, we keep some secrets, but I know he experiments. I recall another year when we trout camp regulars were disgusted by the rising price of our “standard trout lures” and experimented with new lures by Japanese companies. The Japanese get creative and have made a huge impact on the professional BASS tour. Some lures are reminiscent of their monster movies although this one reminds me of the Nautilus from 2000 Leagues under the Sea. As you can see the lure has a perch pattern and I’m pretty sure the stream trout I fish for have never seen a perch. Or the Nautilus. Feral and I ran into this lure by accident. He had invited a buddy from Alpena to go fishing and we stopped so the guy could buy a couple lures. 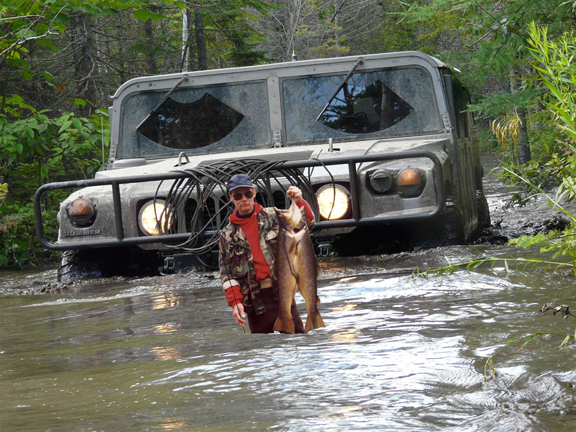 He wasn’t a trout fisherman and chose this to our dismay. Once on the stream we watched him pull in trout after trout while we shook our heads and tossed old standards without luck. So there’s a good clue. Trout aren’t afraid to change their diet. Generally speaking – they are after an easy meal. Silver Lake, up by Hart Michigan, is unique for its beauty and recreation. 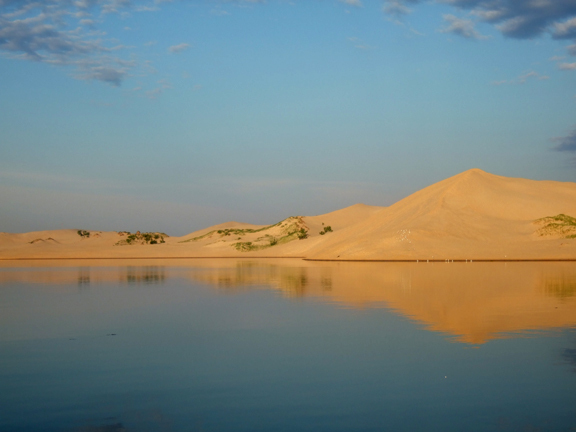 Sand dunes abut the lake on the west shore, the same sand dunes that are famous for the dune rides. There is a state park with camping and it must be one of the most popular parks in Michigan because any time I have driven by the park it appears full up. 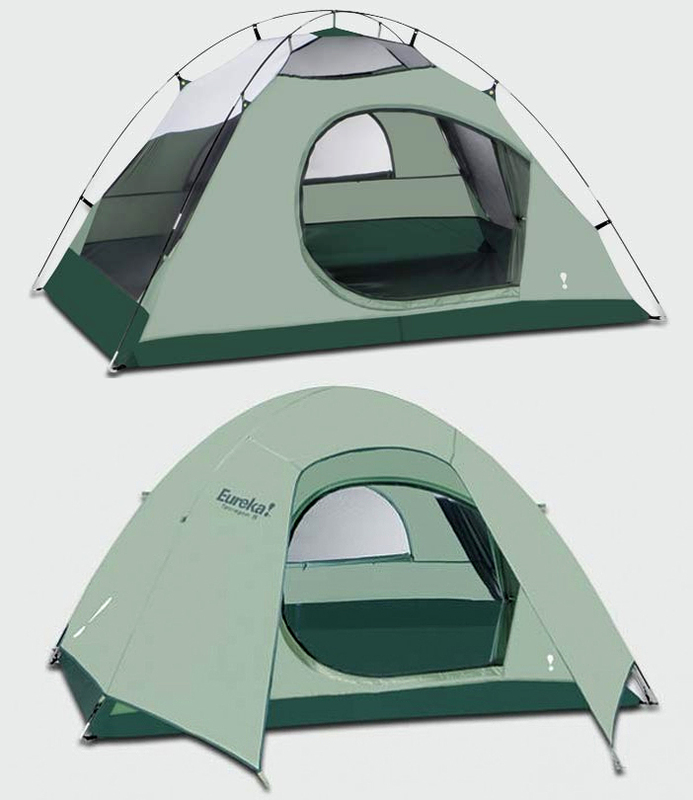 The lake has great bass, walleye, and pike fishing and is a treasure for Michigan, not just the lucky homeowners, but for campers and visitors. Last summer a strange thing happened. Over 3000 carp died off and washed up on the shores. Most folks (at least me) didn’t realize there were carp in the lake. Perplexed homeowners had to clean up the shoreline. According to the DNR, the fish die off was caused by koi herpesvirus, or KHV virus, specific to koi, carp and goldfish, however the source of the virus is unknown. It may have been introduced by released ornamental fish and illustrates the danger of releasing exotic fish in waterways. The carp die-off caught the attention of a new lakefront homeowner and activist, Dr. William DeJong, my brother-in-law. 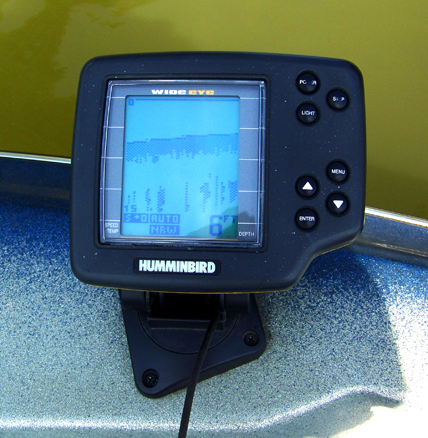 Bill is one of those very high energy people that solve problems while others sleep and as a new homeowner he decided to research the lake further. Bill uncovered reports by Progressive Engineering classifying Silver Lake as meso-eutrophic which indicates high phosphorous levels. High phosphorous can lead to excessive weed growth (already noticed by homeowners), increased algae, and ultimately affect what fish species can survive in the lake. The source of phosphorous is a very complex problem but sewage is a contributing factor. The cottages all have septic systems. There is a well developed smaller lake upstream of Silver Lake and that too is all septic. There is a watershed feeding the little lake. As Bill explains it, the problem may come from a dozen possible sources or combinations of sources, so until there is a clear understanding of the problem, expensive sewer systems or upstream holding ponds should be avoided. What’s needed is a comprehensive diagnostic evaluation to identify the phosphorous source and spell out options. This is more costly than a piecemeal approach and requires the cooperation of the lake property owners, local and state governments. Proper evaluation now could save million of dollars later and ensure the health of Silver Lake. Bill is the right person to try to get consensus and funding to solve this complex problem and the homeowners and the state need to support his efforts.